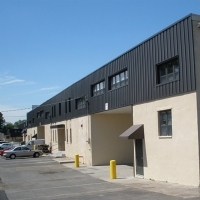 Sitting on 3.67 acres, 1001 Roosevelt Avenue is a multi-tenanted industrial building totaling approximately 97,000 square feet. Steve Bussel, president of BRC, SIOR, represented the seller. Seagis Property Group was represented by Jordan Metz, senior vice president of BRC. "E-commerce and the “Amazon-effect” have shifted consumer behavior, creating a major paradigm-shift in the retail (now e-tail) landscape. Simply put: we buy more and more online and that’s not slowing down. The subsequent demand for last mile warehouse space for swift delivery of these online purchases has continued to soar, outpacing any conceivable levels of current supply. With units ranging from 5,000 to 25,000 square feet and up, vacancy rates in the market hovering at 1.5 percent, and easy access to one of the nation’s most heavily trafficked highway networks, Seagis is well-positioned to capture a myriad of tenants seeking functional space in a prime last-mile location at 1001 Roosevelt Avenue. I look forward to representing the new ownership in marketing the available spaces as we stabilize the asset,” noted Metz. Located in Carteret, New Jersey, 1001 Roosevelt Avenue is within minutes to Exit 12 of the New Jersey Turnpike, and is close to Routes 1 and 9 and the Garden State Parkway. This multi-tenanted industrial property features 14- to 27-foot high ceilings, 17 loading docks and three drive-ins for loading, 400 to 500 amps of electric power and 40 free parking spaces. Seagis Property Group LP is a leading owner of industrial real estate in South Florida, New Jersey, and the New York Metropolitan area. Seagis own over 10 million square feet of space with a particular focus on the markets of Northern New Jersey, Miami/Ft. Lauderdale, and the outer boroughs of New York City.